The contest is apparently evenly poised as on today, Tuesday, February 5. The Bharatiya Janata Party (BJP) has projected the Supreme Court order directing Kolkata Police Commissioner Rajeev Kumar to make himself available before the Central Bureau of Investigation (CBI) as a blow to the Mamata Banerjee-led government in West Bengal and a moral victory for the investigating agency. The court, however, also said that no coercive steps should be taken against Kumar and noted that the questioning should be done at a neutral place (which is being finalized as Shillong now). However, the Trinamool Congress government in West Bengal also hailed the court's order as a vindication of its stand. Mamata Banerjee said that her government had never said it would not cooperate with the CBI, but her opposition was to the manner in which CBI swooped down on senior IPS officer Kumar's residence. She said that the court ordering that no coercive action could be taken against Kumar was a vindication of her stance. The CBI claims that he is protecting some others in the cases and is a "potential accused himself". It goes without mention too that the Kolkata Police Commissioner reports to the West Bengal government, being in state cadre and the Chief Minister had restrained the CBI from unilateral action in the state without keeping the state government and the state police informed as per CBI Act. Further, there was no explicit Supreme Court order for Rajeev Kumar's arrest and there was no FIR against him. These arguments placed before the Supreme Court led to the directives by it. That the CBI's intentions in the case remain doubtful are due to the fact that two among the prime accused in the Sarada ponzi scam case, as per the CBI's own investigations earlier -- Mukul Roy, formerly of the Trinamool Congress, and Himanta Biswa Sarma, formerly of the Congress -- have been let off with no further investigation following initial interrogations after they both joined the BJP. They are BJP President Amit Shah's key political pointsmen in West Bengal and the North-East. So, we have the entire opposition standing with her through tweets and inside Parliament (both Houses being adjourned due to this). Apart from the opposition parties supporting her, including Congress and the Bahujan Samaj Party (BSP), except for an explicit support from the Communist Party of India-Marxist, even neutral Biju Janata Dal (BJD) of Naveen Patnaik and BJP ally Shiv Sena have expressed their dismay at the harsh CBI action in Kolkata of gheraoing Kumar's house, not taking the state government into confidence, and creating a "war-like situation on the streets of Kolkata", as a spokesman for an opposition party noted. The issue is of a consensus leader of the opposition ahead of the election, and the chances of finding one looks bleak as of now. 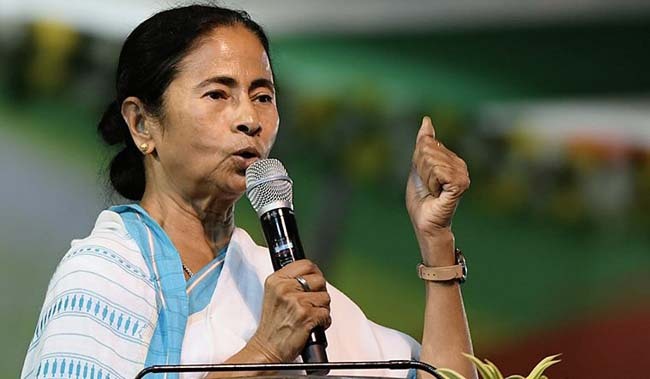 But through the developments of the last one month, from the Brigade Parade ground rally of January 19 to the impasse now over CBI's actions in her state, Mamata Banerjee has surely bolstered her chances. And Modi has contributed to her scores that much and a shot up in the semblance of unity within the opposition camp.